On media labs and the university | What Is A Media Lab? This is an excerpt from Jussi Parikka’s work that is representative of material we will include in a chapter on media labs and the university. Consider how the emergence of media archaeology labs contributes to the artefactual methods of opening up time through devices. Such institutional practices resonate with the wider topic of humanities labs, where physical sites bring together professors and students around joint research topics, underlining the situated techniques of knowledge creation even in the humanities and also the specific technologies that are housed under the umbrella term “digital humanities”. Indeed, in terms of digital humanities, labs have been characterized as the new (at least for humanities) “collaborative, team-based ethos, embracing a triangulation of arts practice, critique, and outreach as they merge research, pedagogy, publication, and generative practices” (Burdick et. al. 2012, 58). Irreducible to, but resonating with, the emergence of digital humanities practices, the media archaeology labs come in different forms while sharing an interest in the contemporary nature of the past. The original lab, the Berlin Media Archaeology Fundus (MAF), is housed as part of the Institute of Musicology and Media Studies at Humboldt University in Berlin. The Institute is led by Wolfgang Ernst, whose writings on media archaeology, archives, and time-critical culture have recently been translated into English (Ernst 2013a, 2013b). The task of the MAF is to collect relevant electrotechnical and mechanical technologies to connect as part of the teaching. It is not articulated as an archive in the traditional sense–nor as a museum–but as a merging of various theoretical and practice-based functions, which introduce different spatial arrangements to humanities teaching and scholarship than are found in the classroom or the library. Together with the Signal Laboratory, which is also connected to the Institute, the MAF distances itself from the usual focus on the artefactual in terms of the design, the shape, and context of any device, and instead taps into operationality. Indeed, technologies such as radios and computers, and measurement devices such as oscilloscopes and galvanometers, are treated as media epistemological frameworks. According to the idea behind the MAF, what distinguishes the technological media object is that it reveals its “essence” only when it is working e.g. circuiting signals, processing sequences, etc. It is this “time-critical” nature that reveals the signal-focused logic of this media archaeology. The “archaeological object under the surface” refers to how machines store, process, and transmit signals (see Parikka 2011). Students approach such devices as instances of the technological epistemology – even called “epistemological toys” – which open up ways of knowing the world from the technological perspective. This task is related to media literacy, or media competency – the need to understand the basis of twentieth century modern media culture – but it is also a way to investigate how and where the hardware turns into algorithmic and signal-processing principles. The MAF is not the only media archaeological laboratory, but the idea of a spatial place for media analysis of historical artefacts has spread gradually over the past years. 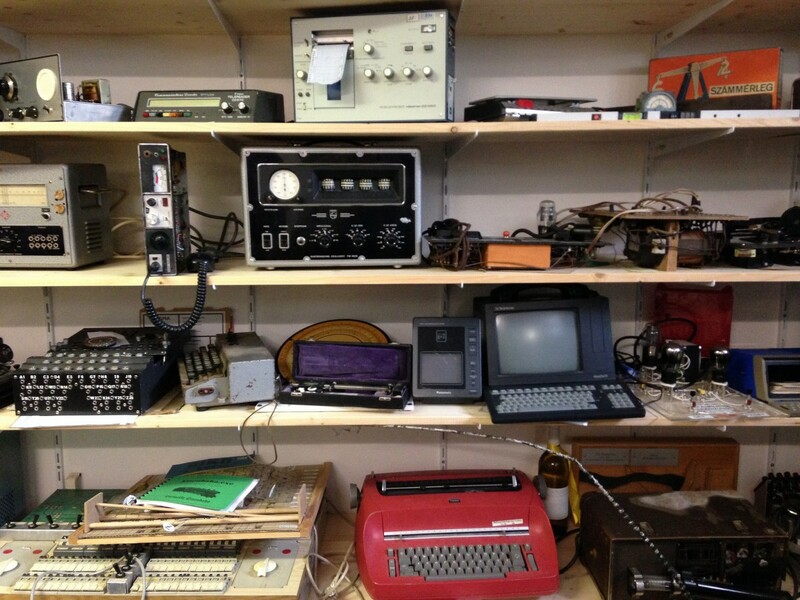 Of the most established, the Media Archaeology Lab (MAL) in Boulder, Colorado, led by Lori Emerson, has a similar agenda as the MAF, as it also represents something of a mix between the archive and the museum. It is clear that in such instances, media archaeology labs are hybrid sites of knowledge production that aim to bootstrap the “archaeological” not merely as a methodology but as a situated practice of engaging with material pasts in the contemporary. It is perhaps even better to say that the contemporary is not merely an object of reference, but is something that is produced by way of the activities in the lab. The MAL collections are focused on the specific early period of home computing in the 1970s and 1980s. Besides the collection, one specific aim through the residency program is to open up the site as a multidisciplinary workspace for artists and writers, who can also have first-hand contact with the machines. Hence, the MAL becomes an institutional version of Mieke Bal’s call for travelling concepts; institutional borders are shifted within institutions by sites of liminal practice where historical knowledge meets cultural theory meets artistic practice. Liminality can in this way be seen as an extension, or radicalization, of the term “interdisciplinary”. In some ways, such sites respond to calls for “experimental media archaeology” (Fickers 2015) that are also practised in institutional settings, such as art school collaborations with archaeology.3 Hence, I want to argue that it is through the emergence of such media archaeology labs and humanities labs that one can also find new ways to engage across disciplines in constituting what the “contemporary” is. From the planned obsolescence of discarded technologies to the massive sites of abandoned hardware with toxic effects on the soil, the material is both a residue and an object of knowledge for both archaeologists and media archaeologists. Digital culture and the massive multiplication of the number of objects in technological culture have also impacted on the cultural heritage agenda, with museums having to face the issue of curating technology–and curating and archiving in technology. This means not merely preservation, but also acknowledging how technical media in some sense even resists preservation. This situation demands new methods and concepts in order to understand this material culture. As part of this dilemma, issues of cultural heritage have shifted from the usual institutions of cultural heritage–museums–to various hybrid forms: from popular culture fascinated with archaeological metaphors to dump sites like the Atari game dump in the Alamogordo desert, New Mexico, and from such academic and artistic sites mentioned above to the wider natural environment which registers the effect of history of technology through its waste load (see also Parikka 2015). Developing such new forms of institutional practice enables us to understand how media theory itself is also a practice that takes place in institutional situations and also how it can be proximate to other disciplines, in this case archaeology (see again Mattern 2015). It is the contemporary as an object of fascination–material culture of technology and media–which allows the development of new methods and collaborations. The contemporary is not merely the old, or the new, but an acknowledgement of how past technological ideas, systems, machines, and even infrastructures can be contemporaneous with us, and open up pastness in new ways. And it is the contemporary that is being not merely reflected but actively produced in these practical and theoretical knowledge situations and institutions that carry the name of “archaeology” as an ethos of tracing the material, from objects to the electromagnetic and the digital.